We girls love our traditional outfits and grab every chance to wear them. And what better place than a shaadi to go all out and flaunt our beautiful saris and lehengas? They are always a favourite pick! 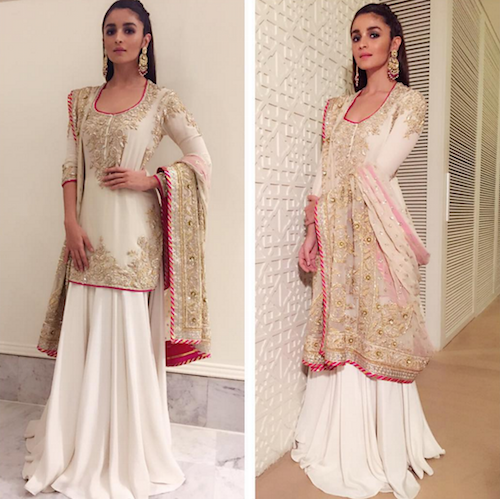 If you are tired of saris and anarkalis though, here are 7 fab outfits to wear to a shaadi you should definitely try the next time! After the immense popularity of the patiala suit, it is now dhoti pants that are creating ripples in the fashion industry, thanks to designers who have modified the traditional dhoti to create a stylish silhouette loved by Indian women and the fashion industry worldwide. Team them with a gorgeous embroidered silk top and a long traditional jacket, and stand out as the trendsetter at that wedding you have to attend! Wear minimalistic heels that show off your delicate ankles to balance out the volume of the pants. If you are not one for heavy fabrics and you just can’t handle the dupatta, then this is the perfect choice for you. The long skirt and shirt combo might seem a bit bland to wear to a wedding but the trick lies in the fabric! Opt for a heavy, luxurious fabric like brocade, and go all out on designs like badla-work which is bound to make you shine while you show off your amazing dance moves! One of the best things about our ethnic garments is that they blend flawlessly with Western clothes, giving birth to a whole new and fabulous look. If you like to experiment, then why not give your traditional clothes a spin by pairing them with a classic button up shirt and belt? 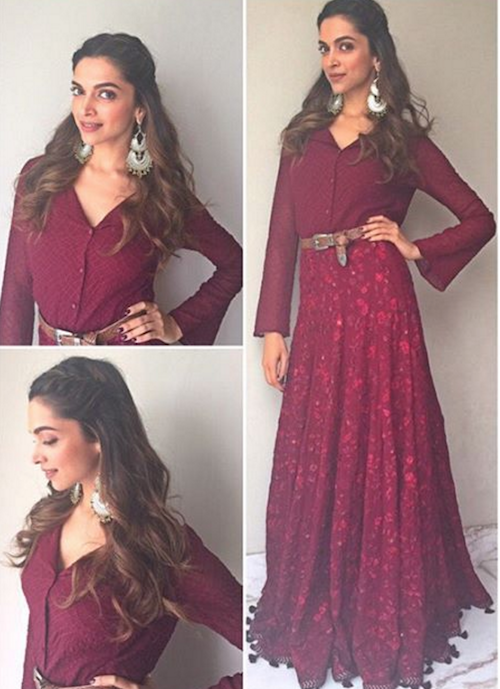 Opt for rich colours like maroon or navy and make a style statement. Image Source: Deepika Padukone on Instagram HAVE A STORY IDEA FOR POPxo? If you want to hear about it, we can write about it! Just tell us your idea here! 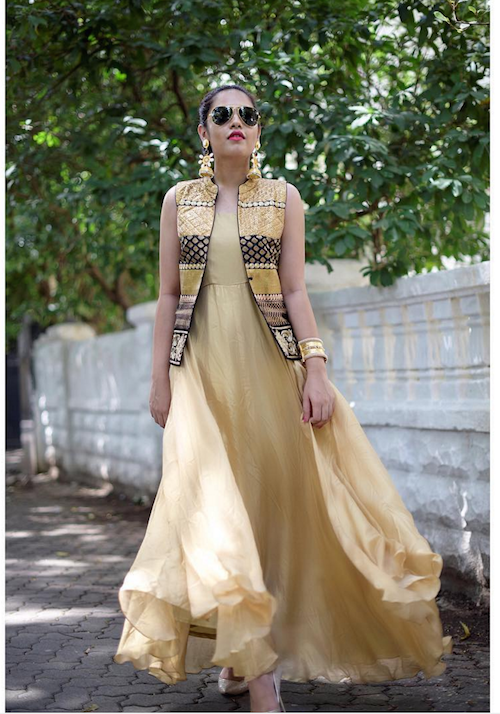 MUST-READ: This Is What Team POPxo Wore This Shaadi Season! 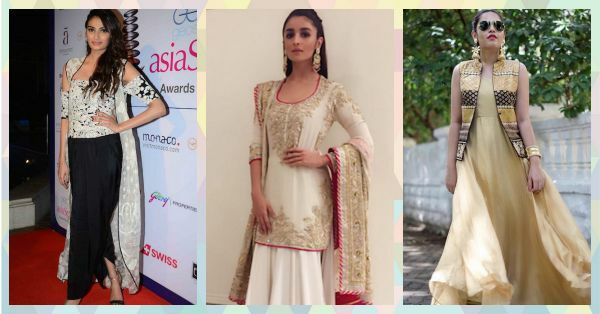 MUST-READ: Dazzle At Your Bestie’s Wedding In These Fab Colours!